Hello everyone, and welcome to this week’s edition of the Wordless Wednesday Blog Hop! As always, Deb from Focused on the Magic is hosting this for us, so a big thank you goes out to her! This week the theme is Disney Hats, Caps, Bonnets, and Bows! Since I have not been known to wear bonnets and bows, I don’t have any pictures of them — but I do have a couple of pictures to share with you, I guess they fall into the Disney Hats category. 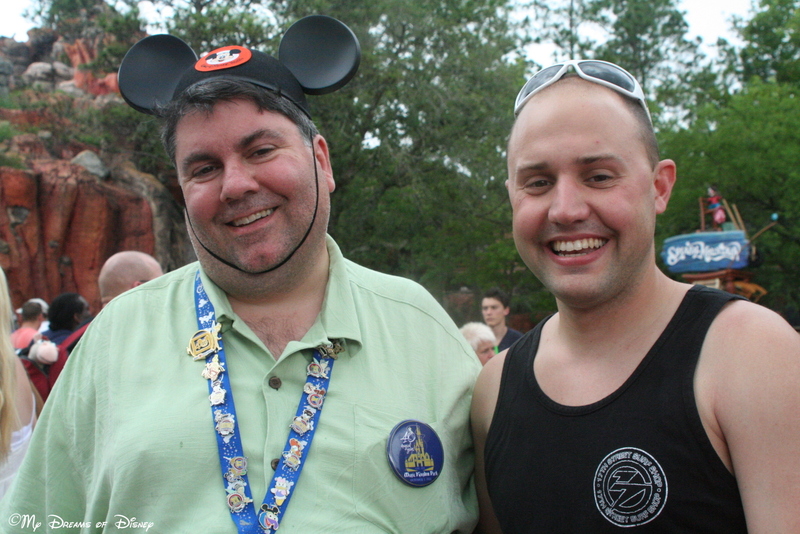 At the top of our post you see me and my new nephew-in-law Shane (remember, Shane was smart and married Stephanie) with me sporting my very first pair of Mickey Ears! On the back it proudly says “Mickey” in honor of my nickname when I was a kid, but as you can tell, even though it was an adult large size, it barely fits! Now it sits around the house more as a Disney momento then anything else! The picture below us is from when we were riding the ferry over to the Magic Kingdom from the TTC. The day was October 1, 2011 — who can tell me what milestone date that was? Actually by my side is my wife Cindy, but she doesn’t like her picture being taken, so she had me crop her out. 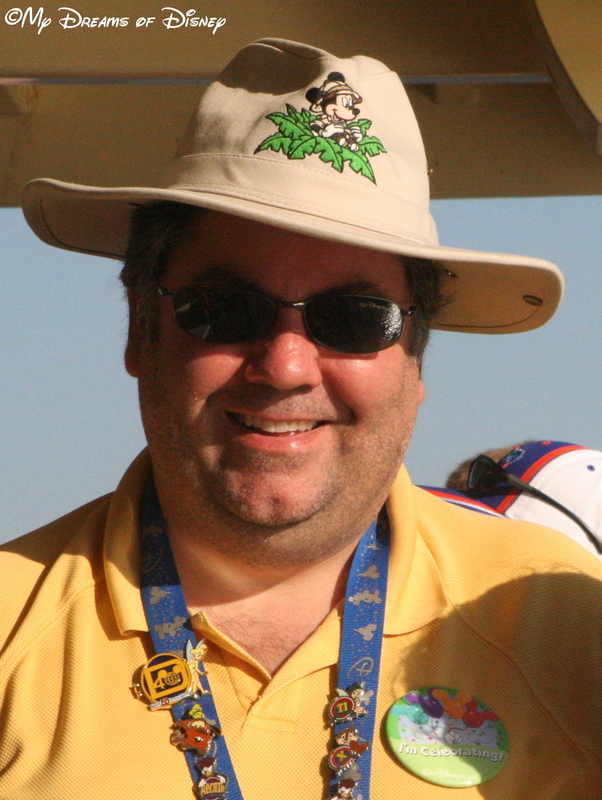 I’m sporting my fun Mickey Safari Hat, that I got several years before and still enjoy to this day. Tell me, don’t I look good in that hat? Thank you for stopping by today to get your Disney photo fix! Now, head on over to Deb’s site to see what other great entries there are for us to enjoy! Just click on the button below, and thanks!